A mix of cruising in company and solo exploration spiced with social and cultural get togethers, ashore and rendezvous afloat. Explore bays, discover hidden anchorages and revel in volcanic scenery. Whether sharing a sip of wine in the cockpit, enjoying the seafood, the Sicilian cannoli and gelato or visiting a village or an ancient town, the Cultural Rally is full of opportunities to meet fellow cruisers and enjoy the most welcome local hospitality. We’ll visit wineries, the salt flats of Mothia, some Greek temples and volcanic landscapes at sunset. People like you that love to sail the Mediterranean and visit onshore sites will get into the marvelous Nero d’Avola wine and eat delicious Caponata and red tuna while ending the meal with a gelato al Pistacchio di Bronte. Italians are one of the most pleasure-loving cultures but be advised that travelling through Italy is easier when you have someone who can guide you. We will take care to communicate clearly with you and locals, while assisting you and organising and guiding the voyage. In the event of technical issues of any type we will be there to help you. The Sicilian edition takes place every other year and other similar cruises will take place in the Canary Islands, the Med Sea and North Atlantic. There are plans for other Rallies, see our events page for details. Cruises can be either all-inclusive or with pay per use attractions. The boat owner or skipper participation in the land events is not included in the boat price formula. A limited number of charter boats are welcome. Our three week cruise includes visits and tours to: wine and food producers, spice markets, Baroque towns, volcanos and ancient Greek Valleys, anchorage at wild and romantic bays, salt mines, sea parks and UNESCO heritage sites. We gather in Licata, home to one of Greece’s most important ancient temples. Yacht port of Marina di Cala del Sole. Welcome evening and organisation main briefing morning. On the 8th a guided tour of the Valley of Temples in Agrigento, a UNESCO heritage site. Port of Marina di Ragusa. Sicilian baroque architecture area in one of the best olive oil producing regions in the world. Opening evening welcome and organisation briefing info; day tour and visits to Donna Fugata Castle, Ragusa Ibla and Scicli, all UNESCO Baroque architecture heritage sites. Modica, the Aztecs chocolate heritage town, can’t be left out of the tour. Sailing towards Archimede’s native town of Siracusa. Port of Siracusa at Pier 11 or at anchor. Sunset get together and day tours in Ortigia to visit the colourful fresh food market. Sailing towards one of the most gorgeous groups of volcanic islands. Eolie Islands, a UNESCO world heritage site. A chance to explore on your own or with the group, having the constant presence of volcanic panoramas where there is an eruption every hour. A few days set aside for individual cruising and exploration of the islands. * If in need, a technical stop is possible at Scilla, about 30 miles from Naxos. Towards one of the coolest coastal towns in Palermo’s province. Port of Cefalù, where we will all rendezvous from the Aeolian Islands. We head off towards one of the coolest coastal towns near Palermo. Port of Castellammare del Golfo, second rendezvous point in a very typical coastal town. Setting off towards the historic town where Marsala Wine was invented by the British, and tuna cans were made for the first time in Italy by the Florio family. We will visit the salt mines for a spectacular sunset which you will remember forever. We will then enjoy an award dinner with the Brotherhood of the Coast, table of Marsala. Marsala, Tour and visits. Award dinner. You may decide to sail the short distance (only 9 miles) from Marsala to the most beautiful Marine Natural Park of Sicily and visit Favignana, the first historical tuna factory built by the Florio family. La Mattanza used to be an ancient and effective practice of fishing large quantities of tuna invented by a shepherd. There are many anchorage bays available here, at one of the most important tuna fish seas in the world. You will see the gorgeous colour of the water at anchor. We will brief you on where to go and what to visit. For a small extra cost you can enroll and participate in the Brotherhood of the Coast Sailing Challenge. Detailed info will be announced. For a small extra cost you can enroll in this regatta. The Tunisian influence, Passito wine, big capers and a volcanic island. You’ll sail to the Port of Pantelleria Island. 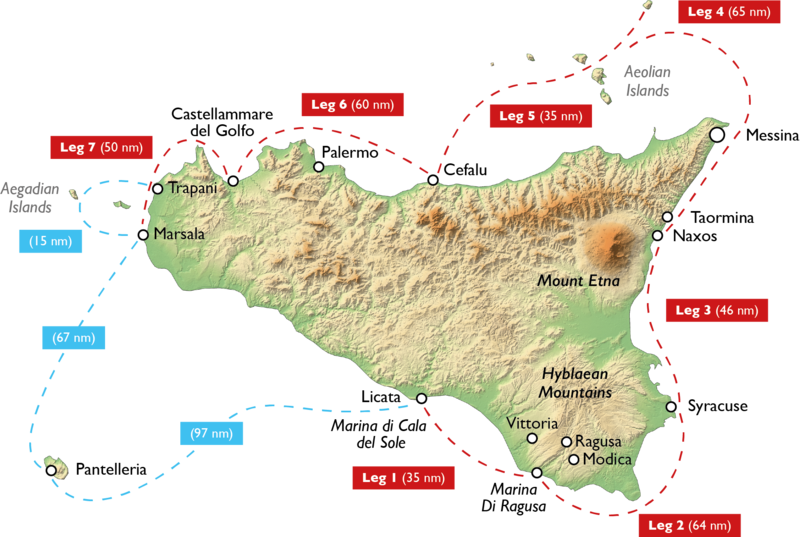 Pantelleria briefing and day tours and visits. Evening dinner awards at the beautiful Donna Fugata cantina gardens. 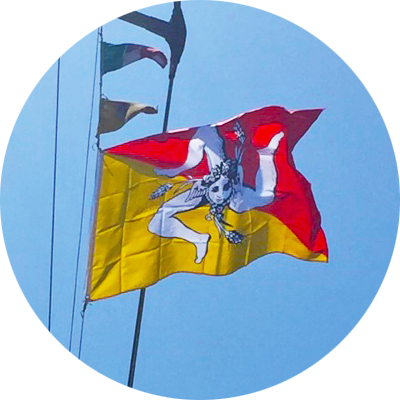 The boat fee includes a rally flag, safety inspection, marinas and ports berths in the schedule, anchorages, briefings, technical seminars, boat leader presence at sea and or in land and organisation team, services and product discounts. A Culture Sailing shirt or another type of wear from our Culture Sailing Team collection, and a participation trophy. The crew fee includes guided tours, tour buses, several dinners based on local productions, buffets and cocktails at the marinas, seminars and briefings, parties and amenities. These is a fixed fee price per occupancy at any time during the rally. Charter companies skipper’s need to pay crew 50% of the fee if they participate at cocktails, dinners and parties but they are excluded from tours. Promo prices for 2019: do to inauguration of new dates, prices are DISCOUNTED so there is a unique price before deadline. After deadline prices will be normalized per boat size. 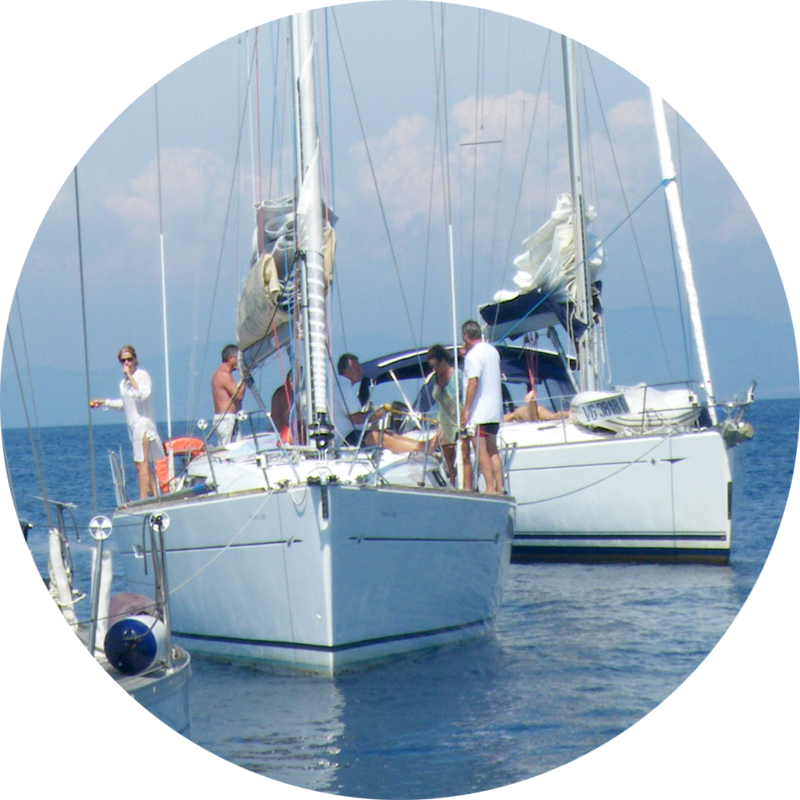 Boat enrollment regular fees will depend on the size of the boat; Multihulls will pay x1.5. Boats under 39 ft, over 53 ft or charter boats must contact the organization for more accurate prices. For regular booking prices paid after deadlines there will be a 20%. Onboard participants crew fees (regular or discounted) paid after deadlines will incur a surcharge of 20% per person above regular price. Each private boat owner will receive marina discounts and a range of other service and product discounts before and after the rally. Each boat might receive a local product welcome basket. We now accept payment via Bank Transfer or PayPal. If you would like to use PayPal, it is possible to add multiple items by returning to this page whilst PayPal is open in another tab (or window). For instance if you wish to book for a boat and an extra crew member. If you have any difficulties, or require further information, please contact us. Keep up to date with the latest news, events, partnerships and promotions with the Culture Sailing mailing list. Copyright © 2019 Culture Sailing. All Rights Reserved.